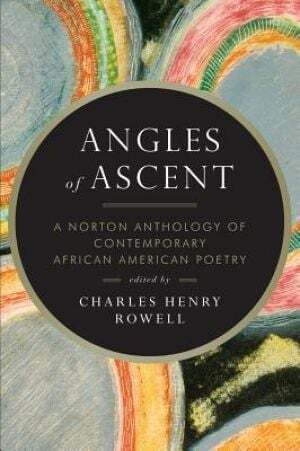 The Committee Room recently spoke with Charles Henry Rowell, editor of Angles of Ascent: A Norton Anthology of Contemporary African American Poetry. Critics have called Angles of Ascent, which was published by W.W. Norton earlier this year, "monumental...an enormous and solid bequest to readers of American poetry" and a "a must-have powerhouse poetry anthology." The anthology focuses on poems created in the last thirty years. "I wanted to give readers a cross-section of what I consider as the representative literary poetry that African Americans are now producing," Rowell explained to The Committee Room. In order to provide a clearer understanding of what makes contemporary African American poetry different from what went before it, Angles of Ascent offers a sampling of earlier works by poets Rowell calls the "Precusors", including Gwendolyn Brooks, Amiri Baraka, Audre Lorde, and Robert Hayden. Poet Amiri Baraka, a "Precursor." The title of the anthology comes from a line in Hayden's poem "For a Young Artist." Rowell told TCR that he hopes "that new and emerging writers will read the contemporary poets—poets who began the main of their writing and publishing since the 1980s—in Angles of Ascent as exempla of what is necessary to do with literary traditions: with a critical eye and ear to pick and choose what to use or discard...Whatever you, as artist, choose, you, like the contemporary poets in the anthology, should try to extend, refine, or remake it, in your own voice, or reshape it in terms of your own vision as a necessary voice in your time." San Francisco-based writer Jay Duret, whose story "Ordinary Life" was TCR Story of the Month for June, has just had his essay "Riding Sidecar" published in December Magazine. In this thoughtful and witty piece Duret writes about his experience with the social movement "collaborative consumption," specifically getting a ride to the airport by a willing and available stranger summoned by phone app. To read "Riding Sidecar" click here. Best Sellers of the Past: What's Still Worth Reading? The Sea-Hawk by Rafael Sabatini. Who were the towering figures of twentieth century American literature? Well, that depends. If number of copies sold is the measurement then Fitzgerald, Hemingway, and Faulkner should step aside. Welcome in Gene Stratton Porter, Harold Bell Wright, Lloyd C. Douglas, and a host of other novelists whose names are only vaguely familiar nowadays if recognized at all. Does anyone read the work of these authors today? Linda Aragoni does. Since 2007, Aragoni has been reviewing long ago bestsellers for her blog Great Penformances. Aragoni addresses only books written after 1900 but none less than fifty years old. She crafts her pithy reviews in terms of how the story would appeal to today's readers. "In some ways, reading older fiction is like reading history only it's history on the personal level," Aragoni explained to The Committee Room. "Vintage fiction takes us back to another time, gives us not only facts about what happened and how people lived, but what mattered to them and why it mattered." An editor, writer, and writing instructor based in Upstate New York, Aragoni reviewed older novels for a local weekly newspaper. "I just picked up whatever was handy at the library and that was the book I reviewed," Aragoni told TCR. After starting Great Penformances she began to read more systematically. Teach the kids Shakespeare. Put that on the "to do" list just after creating world peace, discovering a cure for cancer, and composing a grand opera. Teach the kids Shakespeare? It's just not gonna happen. Playwright Ken Ludwig disagrees. In his book How to Teach Your Children Shakespeare, Ludwig explains why giving your kids knowledge of the Bard's work is an important goal and a realistically achievable one. Ludwig is a highly successful writer for the theater. His precision-timed farces Lend Me a Tenor and Moon Over Buffalo enjoyed long-runs on Broadway and in London. He wrote the libretto to Crazy for You, a musical built around the songs of George Gershwin, which was also a hit on both sides of the Atlantic. Before making his mark in the theater, Ludwig, a man of many interests, practiced law in Washington, DC for several years and still retains an "of counsel" position with the firm of Steptoe and Johnson. Shakespeare and the King James translation of the Bible are, in Ludwig's view, the two "bedrocks" of modern civilization in the English-speaking world. "For more than five thousand years Moses, Jesus, and other towering figures of the Old and New Testaments were the archetypes of our consciousness. In modern society Hamlet and Macbeth, Juliet and Ophelia, have been added to their number," Ludwig writes in the early pages of the book, which was recently published by Crown, a division of Random House. The Committee Room is excited about presenting "Blue Cotton" by Lindsey Thordarson as TCR Story of the Month for October. An absorbing, novelistic story exploring the rough lives and strong emotions of textile workers in nineteenth century New England, "Blue Cotton" takes readers on a journey to another time and place and, perhaps most importantly, into the complex mind of its troubled protagonist. 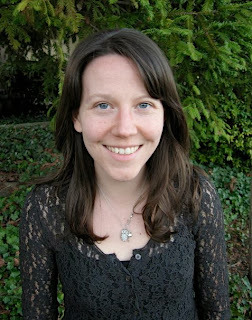 Lindsey Thordarson received her MFA from St. Mary’s College of California. Her work has appeared in many print and online journals, including ZYZZYVA and California Northern Magazine, and received the 2010 Doug Fir Fiction Award. She lives in Petaluma, California. OK, What's the World's Best Known Word? Okay,That May Be It. In observance of Columbus Day, The Committee Room asks you to consider how often you say OK. This little Americanism is probably the world's most used word. In OK: The Improbable Story of America's Greatest Word Allan Metcalf writes "[T]hese two simple letters (or four, if you use its genteel alter ego okay) anchor our agreements, confirm our understandings, and choreograph the dance of everyday life...OK is the most amazing invention in the history of American English." Among English speakers, at least, OK's versatility is astounding. It is put to work an adjective ("The council deemed the project OK"), a noun ("The council gave its OK to the project"), a verb ("The council OK'd the project"), occasionally as an adverb ("The council took the criticism OK"), and most frequently as a throat clearing interjection ("The council member began the discussion with 'OK, let's talk about the project'"). Depending upon tone and context OK can convey a positive or neutral assessment. 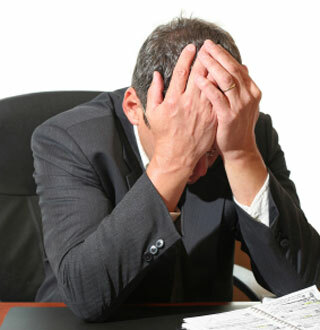 Partnered with a minimizer as such "just" or "only" or "merely" it becomes negative. As the fiftieth anniversary of the assassination of President John F. Kennedy approaches The Committee Room pauses for a look at Jacqueline Kennedy Onassis' career in publishing. The former First Lady spent nearly twenty years as an editor, a period longer than that of her celebrated marriages to JFK and Aristotle Onassis combined. First at Viking, then at Doubleday, Jackie helped shepherd to publication nearly one hundred books, both fiction and non-fiction. left Jackie, at age forty-five, a widow for the second time. Her children were teenagers requiring less of her attention. The most famous woman in the world found herself at something of a loose end. The Committee Room is proud to present "Senator Max Baucus Leaves Five Tips" by Kelly Ramsey as TCR Story of the Month for September. A highly original work of fiction using real life characters and skillfully manipulated visuals, "Senator Max Baucus Leaves Five Tips" grabs the attention with its brief but incisive look at politics, power, and personal relationships. Kelly Ramsey's prose has appeared or is forthcoming in American Short Fiction, Orion, and The Material. This October she will be a fellow at the MacDowell Colony. The Committee Room recently talked with Linda Swanson-Davies, co-editor and co-founder of Glimmer Train, a leading American literary magazine. An independent publication based in Portland, Oregon, Glimmer Train was established in 1990 by Swanson-Davies and her sister Susan Burmeister-Brown. Neither woman had an academic background in literature. They were simply voracious readers who wanted to bring good writing to a larger audience. The journal's title comes from the sisters having had no plans to start a literary journal but could in retrospect see that glimmers of the idea had gone through their minds. Now that the idea had fully emerged they were going forward with it like a locomotive speeding down the rails. Glimmer Train is published three times a year in carefully put together print issues, including a Spring/Summer double issue. Swanson-Davies and Burmeister-Brown strongly believe that a handsome physical publication reflects the enduring quality of its contents. They are also committed to paying the writers whose work appears in Glimmer Train. Over $50,000, funded by contest fees and subscriptions, goes to writers each year. 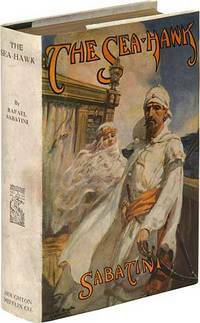 What were the best English language novels written in the second half of the twentieth century? Writer Colm Toibin and editor/publisher Carmen Callil tackle this question in The Modern Library: A Brief Guide to the 200 Best Novels in English Since 1950. "Enthusiasm is the driving force of this book. Its purpose is to celebrate the writers we have loved best, and to proselytize on behalf of their novels," Toibin and Callil write in the introduction. Toibin and Callil delineate three types of novels written since 1950 -- "massively ambitious and complex" works such as William Gaddis' The Recognitions (1955) and Angela Carter's Wise Children (1991) that "take their bearings" from the early twentieth century Modernist giants James Joyce and Virginia Woolf and leave characters, dialogue, and plot "open to question;" traditional style novels, such as Anita Brookner's Friends and Family (1985) and Patrick Hamilton's The West Pier (1951), that follow a "system in which things are slowly revealed and objects in the landscape are described in some detail;" and a modernist/traditional combination, the most common style in the later twentieth century, that takes in lessons from Joyce and Woolf about language, form, voice, and tone without abandoning completely traditional narrative methods. The Committee Room pauses to reflect that, in most cases, we only dimly recall books years after our reading of them is done. Some books get completely forgotten. Lasting bonds are forged with only a small percentage of the books that come into our lives. These might be called the books that mattered. In The Books That Mattered: A Reader's Memoir, writer and editor Frye Gaillard considers books -- both fiction and non-fiction -- that have mattered most to him. "I had always wanted to write a book about books, those that had brought me the greatest delight through the years," Gaillard writes in the book's prologue. "I wanted to offer a reader's tribute, but more than that, a kind of reader's memoir, a recounting of exactly why and when these volumes had mattered "
Gaillard tried to keep the list to twenty-five titles but somehow it grew to over thirty. His selections are not necessarily what he considers to be the best books ever written "but simply those that have mattered most to me." The Committee Room takes a look at The Center for Fiction, the only organization in the United States dedicated to the art of fiction. Located in midtown Manhattan, the Center for Fiction, which opened in 2005, offers a wide variety of resources including workshops, author readings, and reading groups. It also rents desk space to writers in need of a quiet place to get their work done, runs a fiction focused bookstore on its ground floor, publishes a literary magazine, The Literarian, and even offers something called "bibliotherapy" a service where readers are provided with a carefully selected, individually tailored list of fictional works to help see them though life's problems. "The Center is clearly growing, cultivating an audience for its varied and various programs and, in my view, is indeed succeeding in creating a nexus where writers and readers can share their passion for literature," wrote H.J. Schreiber in Nybeat -- Culture on a Shoestring. Great Writers and Their Illnesses: "Shakespeare's Tremor and Orwell's Cough" by John J. Ross, M.D. The Committee Room gives an appreciative nod to modern medicine after reading Shakespeare's Tremor and Orwell's Cough: The Medical Lives of Famous Writers by John J. Ross, M.D. Starting with Shakespeare and ending with George Orwell, Ross looks at the ailments that plagued some of the leading lights of English literature. Tuberculosis, cancer, heart disease, blindness or near blindness, ulcerated skin, crippling arthritis, and deep depression are just a few of the afflictions suffered by this selection of great writers. In many cases the medical treatments they underwent were as dangerous as the diseases themselves. It's a wonder how these people got anything done at all, let alone produced enduring works of literature. TCR Recommends -- "The Play That Changed My Life: America's Foremost Playwrights on the Plays That Influenced Them"
The Committee Room loves theater and highly recommends The Play That Changed My Life: America's Foremost Playwrights on the Plays That Influenced Them (2009), a collection of entertaining essays by leading contemporary playwrights in which they recall the pivotal experience that set them on the road to a life in the theatre. The twenty-one playwrights offering their reminisces come from a variety of backgrounds. Some of them, such as Christopher Durang and Lynn Nottage, were taken to the theatre as children by theatrophilic parents. Others, such as John Patrick Shanley and Diana Son, had little early exposure to theatre and came to it on their own through school productions, television broadcasts, or by reading play texts. Two of the playwrights (Beth Henley and Sarah Ruhl) had mothers who acted in community theater productions but nobody is from a family of theatre professionals. The Committee Room proudly presents "Ordinary Life" by Jay Duret as TCR Story of the Month for June. In "Ordinary Life," a brief story full of wry wit, an older man attempts to impart wisdom to a younger man. Jay Duret is a San Francisco based writer who blogs at www.jayduret.com. 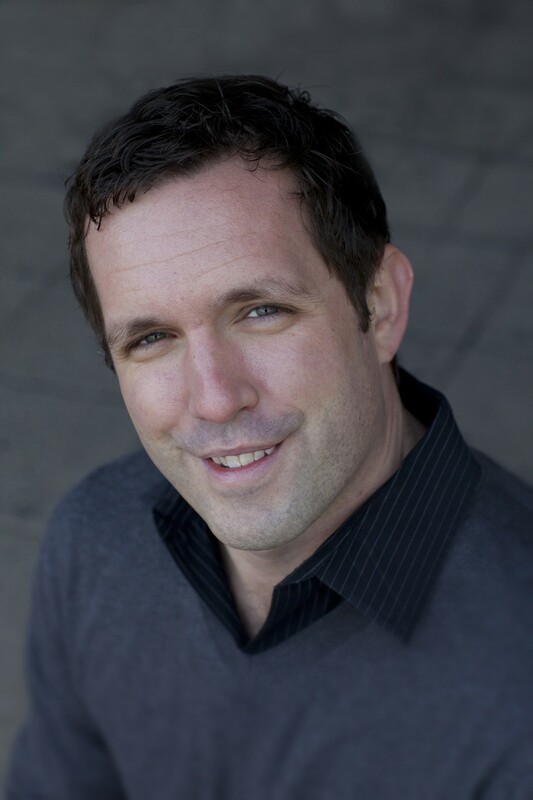 His writing has been published in many online and print journals. The Committee Room continues its TCR Literary Journals Series with a look at Gargoyle, the venerable yet always up to date literary journal based in the Washington, DC area. Gargoyle was founded in 1976 by Richard Peabody, Russell Cox, and Paul Pasquarella. Intending to call the new journal Pan, the three young editors went to Washington National Cathedral to photograph a statue of the god Pan. Photos of the cathedral's gargoyles turned out to be more interesting so the journal was renamed. Cox and Pasquarella left Gargoyle after the first year but Peabody forged on working with other co-editors until 1990 when the magazine temporarily ceased publication. Gargoyle returned in 1997 with Peabody co-editing with Lucinda Ebersole. Delacorte/Random House has just published The Language Inside, a new novel by Holly Thompson whose fine story "Mentos" was TCR Story of the Month for March. Intended for young adult readers, The Language Inside tells the story of Emma, an American teenager brought up in Japan, who goes to live with her grandmother in a New England industrial town while her mother undergoes cancer treatment. To help ease her longing for Japan, the country she considers home, Emma volunteers at a local healthcare facility where she assists Zena, a stroke patient. Zena suffers from locked-in syndrome, a condition which has left her mentally active but physically paralyzed and unable to speak. The Committee Room marks the release of the latest film version of The Great Gatsby by taking a look at The Far Side of Paradise, Arthur Mizener's classic biography of F. Scott Fitzgerald that played an important role in establishing Fitzgerald's reputation as a major American writer. For much of the 1930s and 1940s, Fitzgerald was widely viewed as a literary curiosity noteworthy only for his vivid depictions of the Roaring Twenties. When Fitzgerald died in December 1940, a New York Times obituary carried the headline "Brilliant novelist of the Twenties; inactive recently" and noted that "the promise of his brilliant career was never fulfilled." The Committee Room is pleased to present "Homunculus" by Adam McOmber as TCR Story of the Month for May. A meticulously rendered and highly unusual story, "Homunculus" deals with matters of science, history, and extreme personal creativity. where he teaches literature and creative writing. The Committee Room offers "Chaplinesque" by Hart Crane as TCR Poem of the Month for April. Hart Crane has been called a Modern Romantic who strove to refresh the poet's kinship to the shaman and the seer. In his short career, Crane followed the tradition of Walt Whitman by attempting to capture the range of American experience in his poetry. Born to a wealthy family in Ohio in 1899, Crane eschewed higher education to pursue what he believed was his destiny to be a poet. He moved to New York City and had his work published in small magazines. His exuberance and good looks, along with his writing, soon established him as an up and coming figure on the literary scene. The Committee Room takes a look at what plays are being produced at American theaters. According to Theatre Communications Group, which includes nearly five-hundred professional, not-for-profit theaters, large and small, across the United States, the most produced play of the 2012-2013 season is Good People by David Lindsay-Abaire. A drama peppered with biting wit, Good People is the story of an unemployed single mother from blue collar South Boston reconnecting with a high school boyfriend in the hope of finding a job. The boyfriend got out of their gritty neighborhood and is now a doctor living in an upscale suburb. The Committee Room returns by popular demand to the subject of the reading and writing of U.S. Presidents. In an earlier article we discussed George Washington, John Adams, Ulysses Grant, and John F. Kennedy. Now, in observance of the centenary of his birth and the fortieth anniversary of the start of his unfinished second term we take a look at the literary record of one of the most controversial and most prolific of the American Presidents, Richard Milhous Nixon. Richard Nixon was born on a citrus ranch in Yorba Linda, California in 1913 to a devoutly Quaker family. As a small child he was taught to read by his mother. Already knowing how to read when he entered school enabled him to skip from the first to the third grade. In his book RN: The Memoirs of Richard Nixon Nixon writes of his early life in Yorba Linda -- "After homework and chores, I often sat by the fireplace or at the kitchen table immersed in a book or magazine. We took the Los Angeles Times, the Saturday Evening Post, and the Ladies' Home Journal. Aunt Olive, my mother's youngest sister, and her husband, Oscar Marshburn, lived in nearby Whittier and subscribed to the National Geographic. Nearly every time I visited them I borrowed a copy. It was my favorite magazine." The Committee Room is very happy to offer "Mentos" by Holly Thompson as TCR Story of the Month for March. "Mentos" is a superbly crafted work of flash fiction. Employing masterful focus and a light touch, Thompson packs this very short story with insight into addiction, life in a global culture, and family relationships. 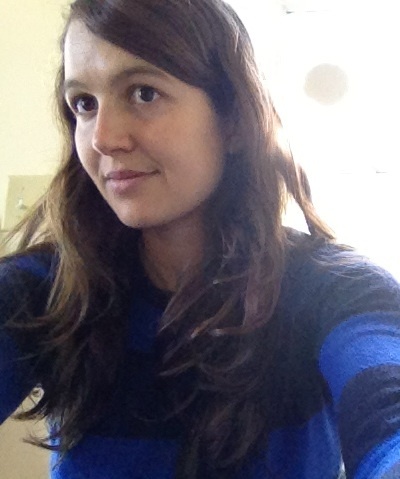 Holly Thompson is the author of two young adult novels in verse: Orchards, winner of the APALA Asian/Pacific American Award for Literature, and The Language Inside, both published by Delacorte/Random House. She is also author of the novel Ash and the picture book The Wakame Gatherers. Her stories and essays have been published in magazines in Japan and the United States. She co-writes the column “Double Take” in ANA Wingspan magazine. The Committee Room begins its TCR Poem of the Month feature with "Poem [Lana Turner has collapsed!]" by Frank O'Hara. O'Hara was a leading figure in the New York School, a group of poets living in New York in the 1950s and 1960s who valued spontaneity and outward-looking personal expression over polished technique and tortured emotional confessions. According to O'Hara biographer Brad Gooch in City Poet: The Life and Times of Frank O'Hara, O'Hara was inspired by a tabloid newspaper headline when he wrote "Poem [Lana Turner has collapsed!]" on a snowy evening in February 1962 while riding the Staten Island Ferry. Thirty-five years old and a poet of rising reputation, O'Hara was on his way to a reading he was to give at Staten Island's Wagner College. At the reading, O'Hara shared the newly written poem with an appreciative audience. Scheduled to read for twenty minutes, O'Hara read for an hour, much to the annoyance of his co-presenter, the somewhat older and more eminent Robert Lowell, whose poetry epitomized the confessional style that O'Hara disdained. When Lowell finally began his set he announced he would be reading for only a few minutes and facetiously apologized for not having written a poem on the spot. TCR Spotlight on Theater: Interview with Penelope Niven, Author of "Thornton Wilder: A Life"
Thornton Wilder: A Life by Penelope Niven is a superb new biography of the American playwright, novelist, and man of letters. A winner of three Pulitzer Prizes and so far the only writer to earn Pulitzers in both fiction and drama, Thornton Wilder stood at the top of the American literary scene for nearly half a century. He gained prominence with his first novel The Cabala, (1926), about a young American in Rome after World War I, and soon moved into the top echelon of writers with his now classic The Bridge of San Luis Rey (1927), a slim novel that asks profound questions in its examination of the lives of a disparate group of characters killed in a bridge collapse. Wilder's favorite genre was the theater. He enjoyed critical and commercial success with the plays The Skin of Our Teeth (1942), The Matchmaker (1955) -- which later served as the basis for the musical Hello, Dolly! -- and most famously Our Town (1938). On a nearly bare stage with the proceedings narrated by an avuncular Stage Manager character, Our Town presents the eternal cycle of life and death among ordinary people in an ordinary New England town in the early twentieth century. The Committee Room turns it attention to self-help books with a look at a collaboration recently begun in England between libraries and the healthcare system. In January 2013, The Reading Agency, a non-profit supporting books, libraries, and literacy, announced the Reading Well: Books on Prescription program. Beginning in May 2013, titles from a core-list of thirty self-help books on topics such as anxiety, chronic fatigue, depression, and binge eating will be made available in public libraries throughout England. General practitioners and other health professionals will be able to prescribe books from the list knowing that patients will have free access to the recommended titles. What do top contemporary writers think is a good book? Journalist and editor J. Peder Zane found the answer by asking one hundred twenty-five leading British and American authors to list ten of their favorite books. 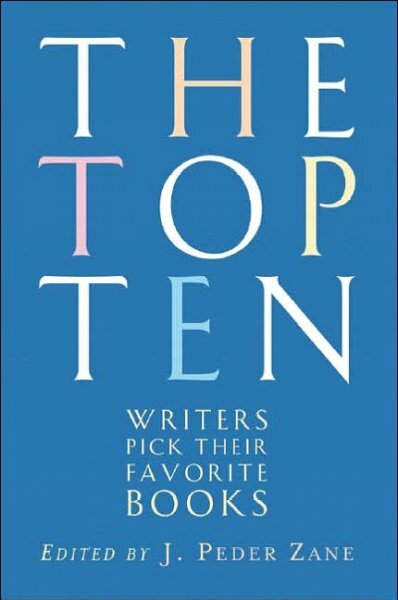 The responses were published in The Top Ten: Writers Pick Their Favorite Books, a modestly-sized but content rich volume. In addition to the authors' lists, The Top Ten offers a brief summary of each of the five-hundred forty-four titles mentioned by the authors and breaks down its findings into separate lists such as the top ten works of science fiction and fantasy and the top ten works of the twentieth century. 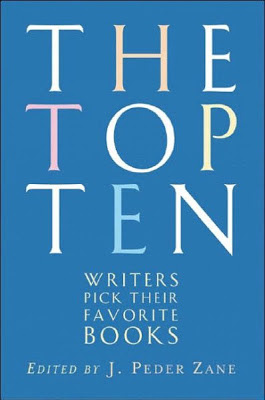 Expanding upon the 2007 book, Zane maintains The Top Ten website which offers lists by prominent authors not participating in the first go round. Readers can also post their own list of favorites. Authors contributing to the original book run alphabetically from Lee K. Abbott to Meg Wolitzer. Annie Proulx noted -- "I find this list of ten books project to be difficult, pointless and wrong-headed" but she provided a list anyway, headed by The Odyssey. Barry Hannah's list included his own novel Airships with a parenthetical "Why not?" The Committee Room is proud to present "Always the Same" by Phillippe Diederich as TCR Story of the Month for January. "Always the Same" is a short, simply told and powerful story of a boy's childhood moving on despite great loss. Phillippe Diederich was born in the Dominican Republic and raised in Mexico City and Miami. 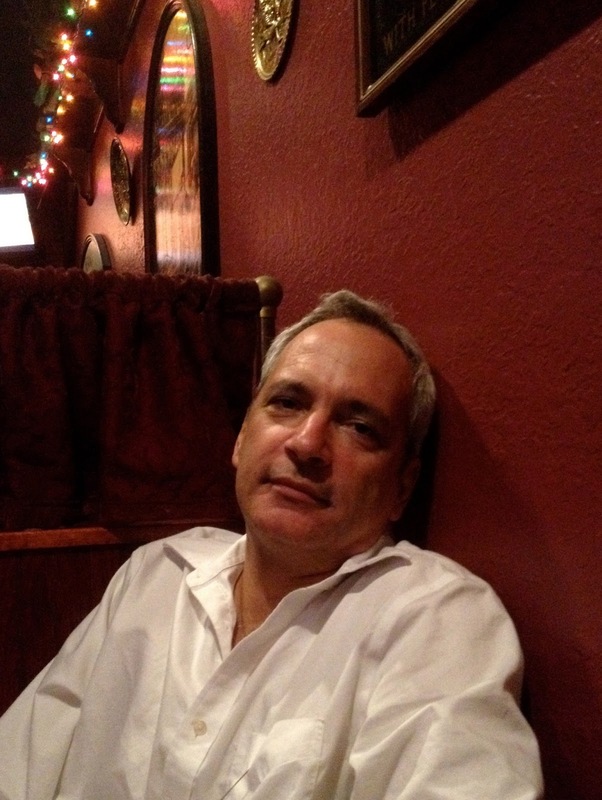 His non-fiction has been published in Traveler’s Tales Anthology, Cuba, Cigar Aficionado, Miami New Times and The Dallas Morning News. His short fiction has been published in Quarterly West, High Desert Journal, among others, and has been nominated for a Pushcart Prize. The manuscript to his novel, Sofrito, was recently under option by Fox International. He is the author of Communism and the Art of Motorcycle Maintenance (2011), an eBook that includes forty black and white photographs of Cuban Harley-Davidson bikers in Havana. The Committee Room is pleased to continue its TCR Literary Journals Series with a look at aaduna, an independent, exclusively online publication founded in 2010 and based in the historic central New York community of Auburn. Aaduna takes its name from the phrase "aaduna si dofa rey" meaning "the world is huge" in the Wolof language spoken in Senegal, Mauritania, and The Gambia. The use of lower case letters in aaduna's name reflects a sense of humility which seeks to serve, strengthen and empower. Its logo, which can be seen as a single face or as two side portraits, is based on a Southeast Asian woodcarving and represents the idea that the world's people may be distinct but ultimately share a common and universal humanity. The joined hands in the logo refer to aaduna's spirit of collegiality and teamwork. With a stated mission that includes uncovering new and emerging talent, especially people of color, aaduna works toward building relationships with the writers and artists whose work it presents and provides ongoing support and promotion. High among aaduna's objectives is to narrow the distance between the audience and the creative person. Labels: aaduna, Auburn New York, Bill Berry, Cyd Fulton, Literary Journal Series, Sean O'Grady, Seward House Museum, Tamara Madison, TCR Literary Journal Series, William E. Berry Jr. The Committee Room continues its look back at the holiday season bestsellers of sixty years ago. 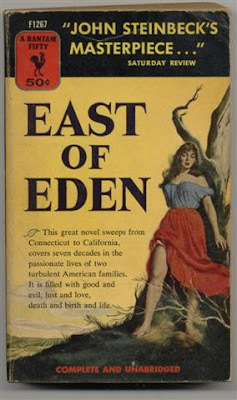 TCR's last posting discussed East of Eden by John Steinbeck which was number one on the New York Times bestselling fiction list. We turn now to non-fiction. 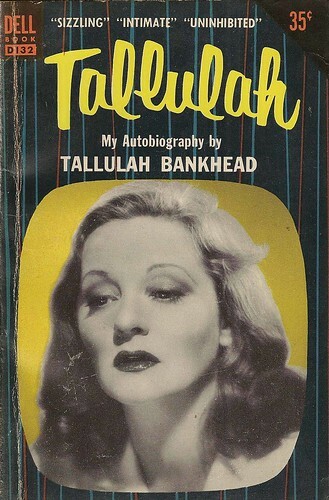 At the top of the Times list was My Autobiography by the legendary actress Tallulah Bankhead. Published by Harper and Brothers, Bankhead's My Autobiography settled into the number one spot in October 1952 and stayed there through the Christmas and New Year's 1953 season. Other titles in the non-fiction top ten at this time were The Sea Around Us by Rachel Carson, which had been on the list for over a year, and Anne Frank: The Diary of a Young Girl by Anne Frank. At the time of My Autobiography's release, Bankhead was fifty years old and experiencing a career boost as one of the hosts of The All Star Revue, a highly touted television variety show, on NBC. She had moved to television after two years of hosting The Big Show, a prestigious NBC radio variety program. Bankhead's gift for witty repartee was used to good advantage in variety show introductions though guests on the programs often approached her with trepidation, knowing her unpredictability. According to biographer Denis Brian, Bankhead began tape recording her life story in the summer of 1951 at her Bedford Village, New York home. The transcribed tapes of Bankhead's anecdotal, name-dropping (often of personalities now forgotten) and selectively revealing reminiscences were organized and edited by leading show business press agent Richard Maney. At the opening of My Autobiography Bankhead offers a "Citation to Richard Maney for Conduct Above and Beyond the Call of Duty" but doesn't specify what he did. Born in Alabama in 1902, Bankhead won a beauty contest as a teenager which led to an acting career. In the early 1920s, after a few small roles in the New York theater, she got a part in a British stage production. In London she quickly gained notoriety for her flamboyant, eager to shock behavior off-stage as much as for her acting in plays such as Sidney Howard's They Knew What They Wanted. The Committee Room looks back sixty holiday seasons to Christmas 1952/New Year's 1953 when John Steinbeck's East of Eden headed the New York Times list of bestselling fiction. Other titles in the fiction top ten were The Caine Mutiny, Herman Wouk's Pulitzer Prize winning Navy court martial story which by this point had been in the top ten for nearly two years; Giant, a tale of Texas cattle and oil fortunes, by Edna Ferber; The Silver Chalice by Thomas B. Costain, an updating of the Holy Grail legend; and Hemingway's The Old Man and the Sea. Steinbeck considered East of Eden his most ambitious and important novel. In November 1951, after completing a full year of arduous work on East of Eden Steinbeck wrote to a friend -- "In my book just finished I have put all the things I have wanted to write all my life. This is 'the book.' If it is not good I have fooled myself all the the time...Having done this I can do anything I want. Always I had this book waiting to be written." Dedicated by Steinbeck to his two young sons, Thomas and John IV, East of Eden is a sprawling saga of two California families -- the Hamiltons, closely based on Steinbeck's mother's family, and the fictional Trasks -- that spans the decades from the Civil War through World War I. Published by Viking in September 1952, East of Eden received mixed reviews. Few critics considered it superior to Steinbeck's The Grapes of Wrath, the 1939 bestseller about Oklahoma migrants to California which won the Pulitzer Prize and the National Book Award. In December 1952, Steinbeck wrote -- "I guess I just don't bring out the best in critics. Maybe I've been around too long. The tradition is that writers of English die young. Maybe that outrages them. The pleasant thing is that people go right on reading the books."